As organizations run more mission-critical applications within virtual environments, it's often a challenge to continue to meet performance and availability SLAs. Storage is usually the likely culprit. IT managers must have a keen understanding of the latest advancements in storage technology so they can recommend the best approach moving forward. 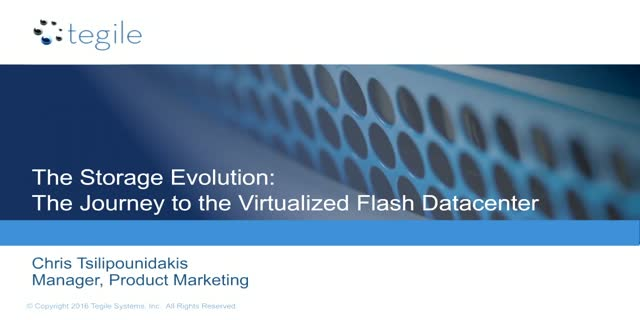 In this session, you’ll learn about the latest storage architectures (flash caching, server-side PCIe flash, hybrid, and all-flash) and the pros and cons for each. We’ll also discuss how a well-designed infrastructure can help you meet your performance requirements, drive efficiencies, and deliver high availability for your VMware environment. Tell a friend! Share this webinar by clicking on the social icon above.